I used the pass for my two nephews and myself. I told the boys to choose anything from the list of things to do, and they did. We went everywhere! The only place we didn’t have time for that I wanted to go see was the Safari Park. This is what we did 1st Day – SeaWorld and did bike riding on the La Jolla beach in the afternoon. 2nd Day – LEGOLAND and kayaking on Coronado Island. 3rd Day – Knotts Berry Farm. 4th Day – San Diego Zoo I loved the passes because I had figured it up and realized doing three of the major things more than paid for the pass, so I felt frugal. Then I didn’t feel like we had to stay ALL day at someplace in order to get our money’s worth. For instance, when we got to LEGOLAND we realized the boys were a little old for it and they wanted to go do something else. I normally would’ve said we weren’t leaving until we rode all the rides. With the pass I said we could do whatever they wanted to do. We stayed for around three hours, went to Coronado Island to kayak and then played on the beach until dinner. It was a lovely trip. 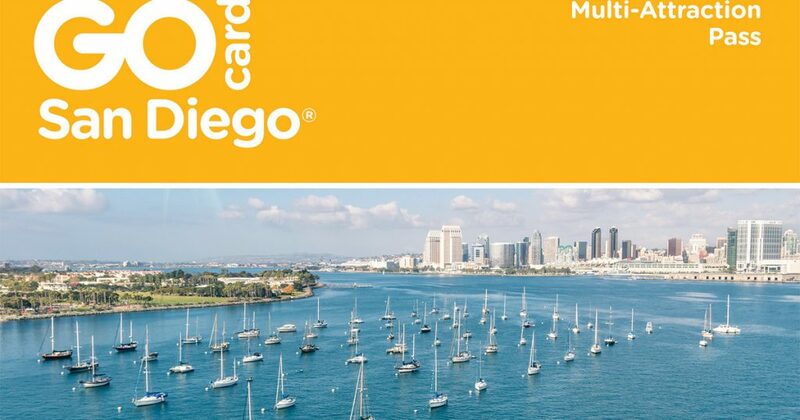 Top San Diego attractions, all on one pass. The more you do, the more you save. Choose as you go from over 35 options. Museums, cruises, and more. San Diego Zoo and Safari Park with ‘Straight to Turnstile’ included on all passes. Choice of one Premium Attraction. Included on all passes.